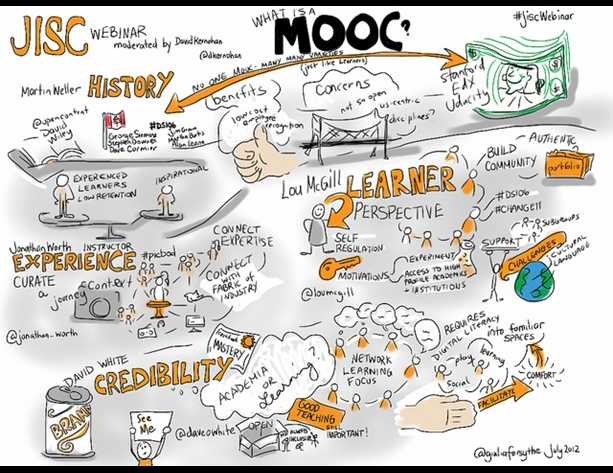 …So a while back I wrote a post espousing the value of MOOCs as critical educational gateways; they’re giving people around the globe unprecedented access to information, broadening the ability of the population to participate in discourses spanning a wide array of subjects (many of which have historically been closed off to all but a select few due to a scarcity of SMEs to instruct and limited instruction materials). You can read the full post here, but at the time I basically tempered my enthusiasm for MOOCs with the caveat that while they’re great sources of learning, their lack of a strong brand or well-defined, universal certification criteria have (at least for now) relegated them to the status of glorified AP/community college course in the eyes of many employers. 1. 70% of prospective students around the world cannot afford higher education. 2. By 2020, college educated workers are projected to have three times as many opportunities (and command a similarly large wage advantage) as those without. These figures suggests to me that in the near future there is going to be a great opportunity for innovative companies to tap a massive well of talent globally. As the web continually makes knowledge more accessible (and the market for online certifications matures), the first organizations to effectively identify and recruit these “online” candidates are going to have a huge competitive advantage in the talent war. To this point, the evidence seems to suggest that – at least until the market corrects itself – candidates gaining certifications are going to be cheaper and in no short supply. Ergo, as we move in earnest into a knowledge-based economy, a big component of winning the talent war is not so much going to be fighting over a short supply of qualified STEM candidates: Rather, instead of a shortage of human capital, the next big talent challenges organizations face will be identifying which people are the right fit and hiring them at the right price. …For a long time the brand-equity of traditional brick-and-mortar institutions has served as a screening tool for employers looking to identify the best and the brightest. As knowledge continually becomes more accessible and the online certification market evolves, however, employers may be forced by the sheer disparity in human capital costs to change their recruiting strategies. In this respect, data analytics teams are going to play a critical role in the talent sourcing process going forward. Lots of people will have the skills companies need, but which ones are right for their respective organizations? What questions do we need to ask to find that answer, and where can we find the information we need to fill in the gaps? …That’s all the time I have for today, but as always please share your thoughts in the comments section below.